Making hummingbird nectar. 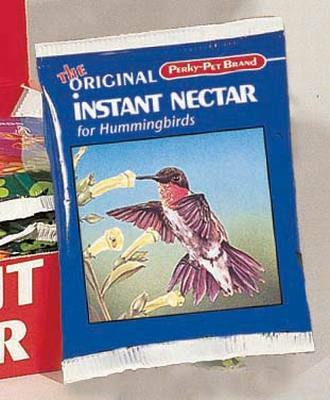 This convenient, easy to use instant hummingbird feeder mix makes sweet nectar that will please you and your hummingbird friends! Just mix with water -- no boiling required! The Perky-Pet instant nectar 5.3 oz. packet makes 32 oz. of nectar when mixed with water. Contains natural sweeteners with no boiling required.